People like hereditary rulers and constitutional monarchs operate in stratified societies and inherited status may flow through to a chosen offspring in a unilineal system. Thus, successive leaders could be from the same ancestor. Juxtaposed against the above analogy, a family of Nazareths stands out in the Goan diaspora, for holding leadership roles, as Presidents of Goan clubs on two continents. Inheritance played no role in their extraordinary tenure. The patriarch of the clan was Mr.P.C.S.C. Nazareth. He was President of the Entebbe Goan Institute (E.G.I.) in 1936, 1938, 1945, 1948 and again in an unconfirmed year in the 50s. It is relevant to mention that the E.G.I. came into existence on April 24, 1905, and was the very first Goan club in Uganda. With Entebbe being the seat of Government it was inevitable that Civil Servants were predominantly based at the headquarters, with only a sprinkling at upcountry stations. Because of this circumstance, the President of the E.G.I. had an entrenched right to be the leader of the Goan Community in all of Uganda, and to be the first among equals. P.C.S.C. (his common appellative) was an astute and unpretentious man of inscrutable character. 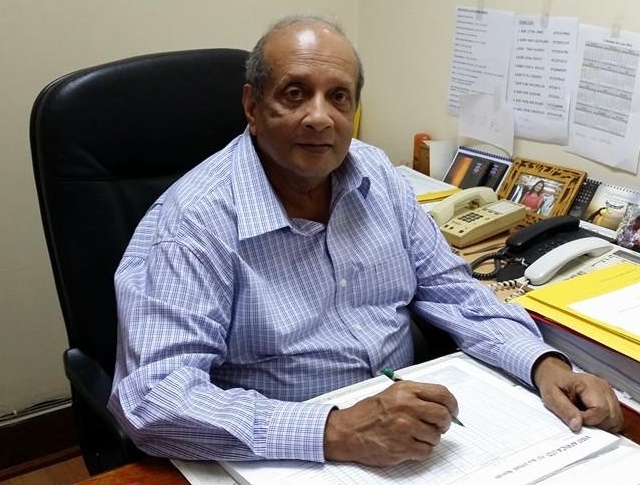 His cool and unbiased demeanour helped assuage any dissension or petty squabbles within the community With him at the helm harmony prevailed within the community. He garnered the respect of all in the club and in the greater periphery. In my time of over two decades at the E.G.I. he remained unmatched as our President. His efforts in the Service and in the community received recognition from the British Government in the form of a well-deserved M.B.E. Fast-forward to the 70s. My family and I had already migrated to Canada in January 1969, of our own volition, and had eluded the troubling times that engrossed the lives of Goans and others when the unexpected and irrational edict of ingrate Idi Amin, in 1972, sent everybody in a tail-spin. Not long before, P.C.S.C’s eldest son, Peter, was President of the E.G.I. in 1966, 1970 and 1971. Thousands were dislodged in 1972 and P.C.S.C’s younger sons, John and David, were among those who involuntarily had to leave their comfortable moorings in Uganda. Later, John was elected as President of the Goan Overseas Association (Toronto) and served from April 1985 to April 1987, and David from April 1997 to April 1999. This club that started in 1970 was the largest Goan club in North America. All the sons acquitted themselves to the best of their abilities and in an equitable manner. It was our good fortune that we had the Patriarch as our President in Entebbe and his two sons in Toronto. I would be remiss if I did not acknowledge the support that the men received from their respective wives in the onerous responsibilities that were visited on them because their spouses chose to serve the community. They are: Annie, Mary, Cynthia and Lydia. In a reversal of roles, and in keeping with the times, Lydia stands tall as the President of the 55-Plus Goan Association ( a seniors’ club) and her two-year term started in April 2018. One would be hard-pressed to find five members of the same family, at the helm of the Goan community, in sequential order, with Lydia being the cherry on the Nazareth cake. God willing, from their progeny, may come yet some more Presidents, male or female. After all, they are cut from the same cloth. Our hats off to the Nazareths !